Giovanni Battista Piranes’s mid eighteenth century etchings create a series of 16 haunting images of imaginary prisons. Towering fantastical architecture, endless staircases and dreadful machinery create nightmarish scenes that have fuelled the imagination of Romantic writers and contemporary game designers. 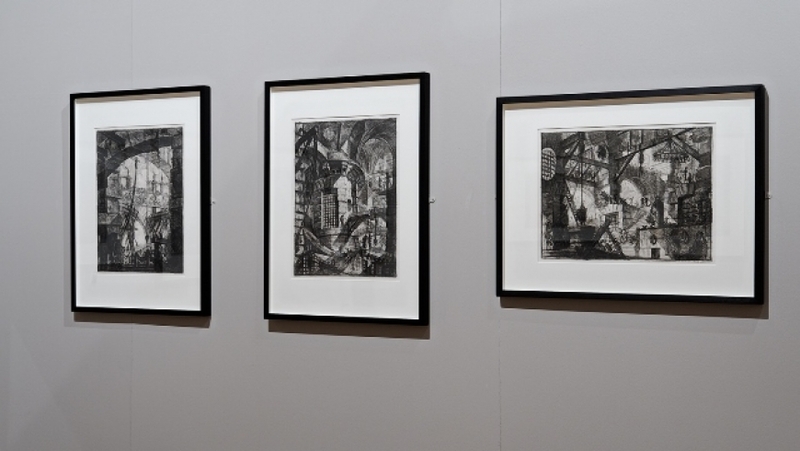 On loan from the University of Manchester, Piranesi’s prints create a dialogue with Lindsay Seers’ work, sharing a preoccupation with light and dark, real and fantastic, loss and displacement.